The image database component allowed camp staff to upload and tag documentation images of their campers. The campers could then access and share those images through an internet login. The database replaced a manual system, resulting in hundreds of man-hours saved, lowered operational costs, and a better experience for the campers. Initial camper applications are manually entered at CAM. 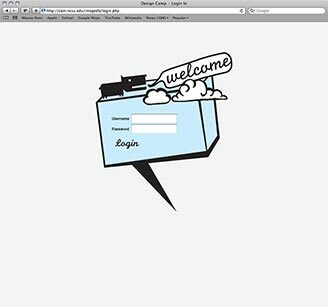 Real time validation prevents entry errors. Demand far exceeds camp capacity, and camps are filled on a first-come first-served basis. A fully electronic application process was avoided so that applicants without computers wouldn't be at a disadvantage. 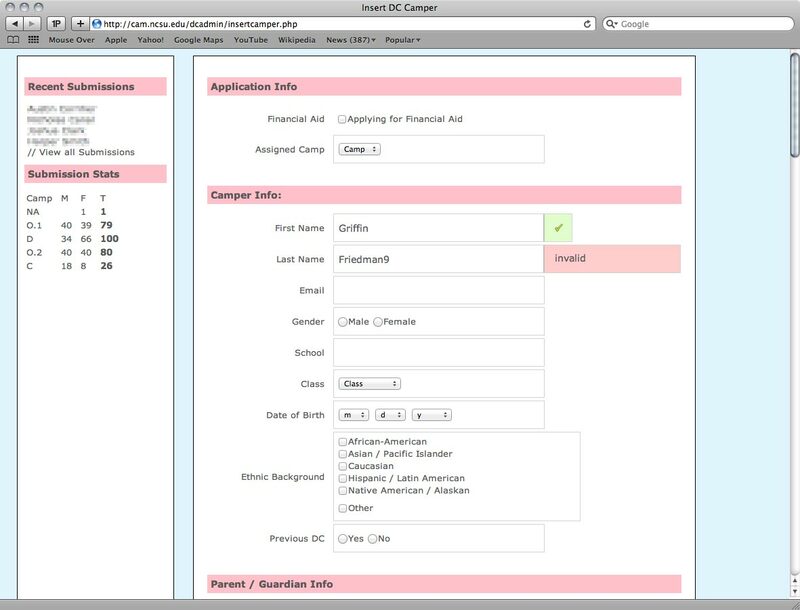 After being entered into the system, campers receive an automated email with a link to the second half of the application. Real time prompts and validation assist the camper when filling out the form. Throughout the camp, counselors document their campers and their work. The images and videos they capture are uploaded to a network drive. A server then processes the images, creating thumbnails, downsampling them for web viewing, and adding them to the database. 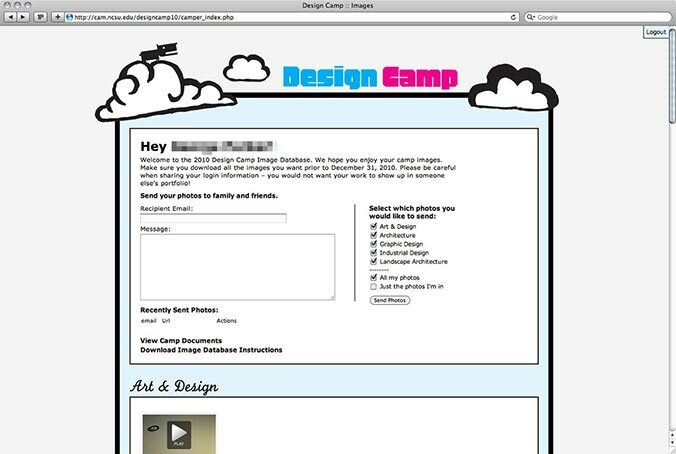 The counselor must then log in to assign each image to the appropriate camper. 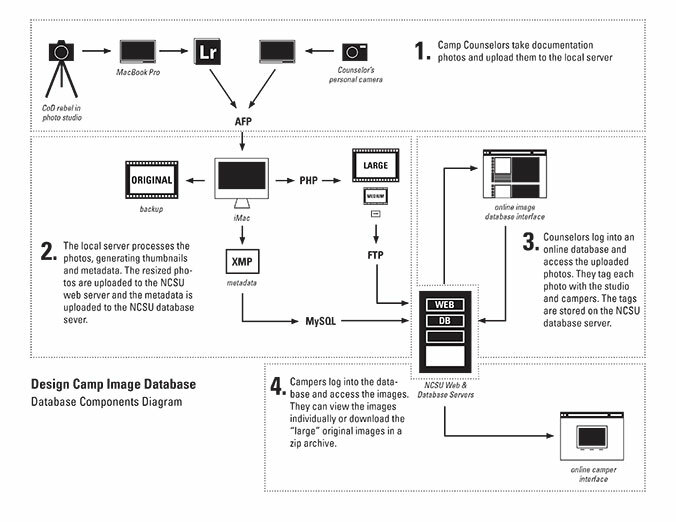 A diagram that shows how the image portion of the camp database works. I created this diagram to help counselors understand how the database worked during their training. 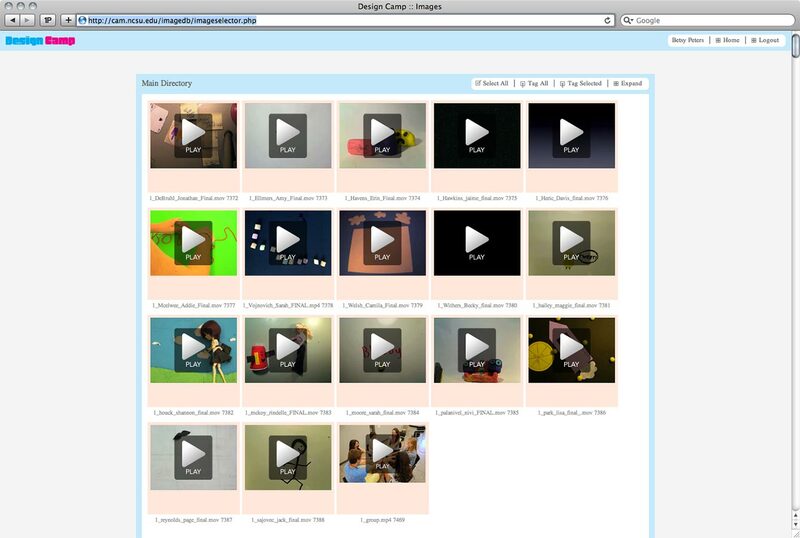 Counselors can then see all of the images and videos that they have uploaded. Images are automatically resized and processed by the image database system. The counselor selects which images they want to tag. 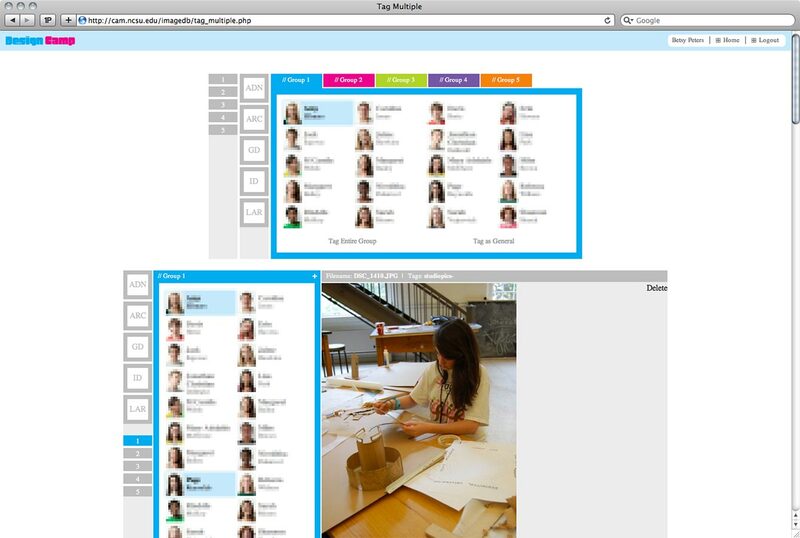 A batch panel at the top of the window allows the counselor to batch tag all of the images at once. 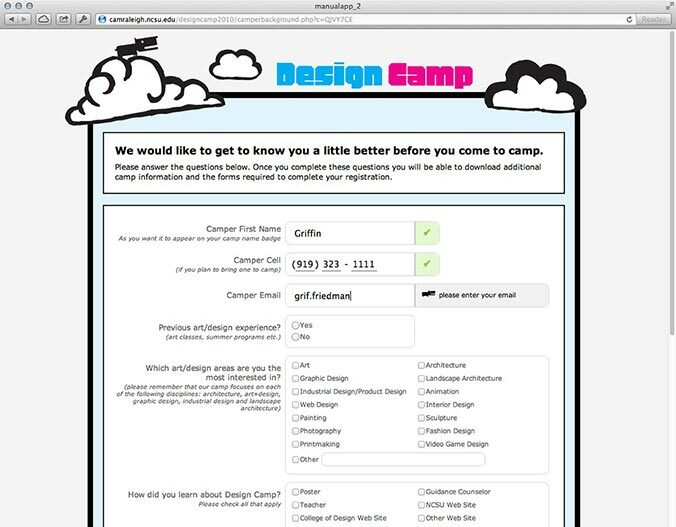 After the camp is over and all the images have been tagged, the camper receives an email with his or her personalized login information for the database. 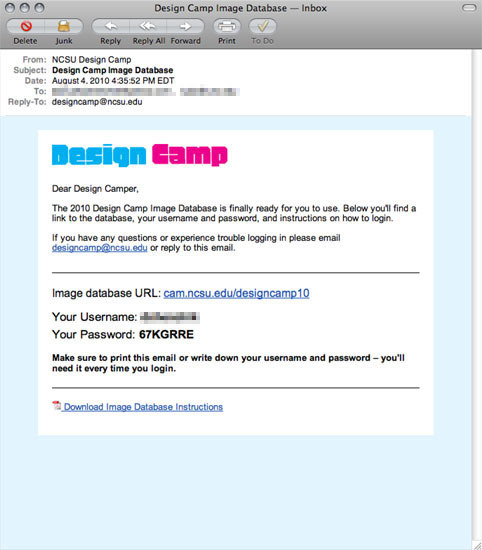 The campers then login to the database. Only a camper's own documentation images are shown, divided by category. Since the campers were split into groups, any general image with a camper from their group is also shown. Clicking on an image brings up a slideshow. 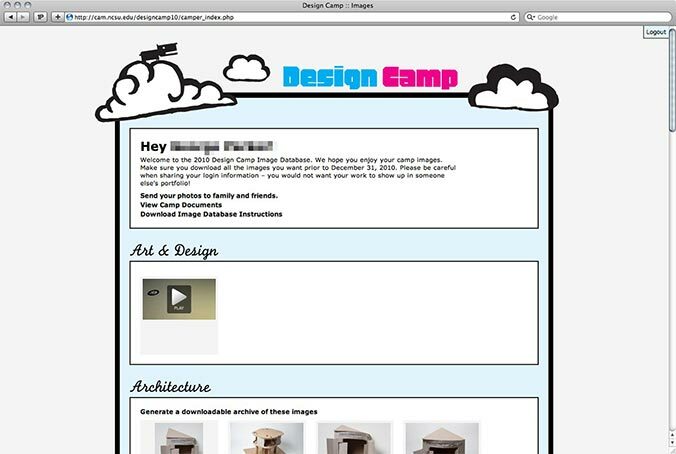 Campers have the option to download the original high resolution file for each image, or they can also download a .zip archive of all their images. We made it easy for campers to share their images with family members and friends. 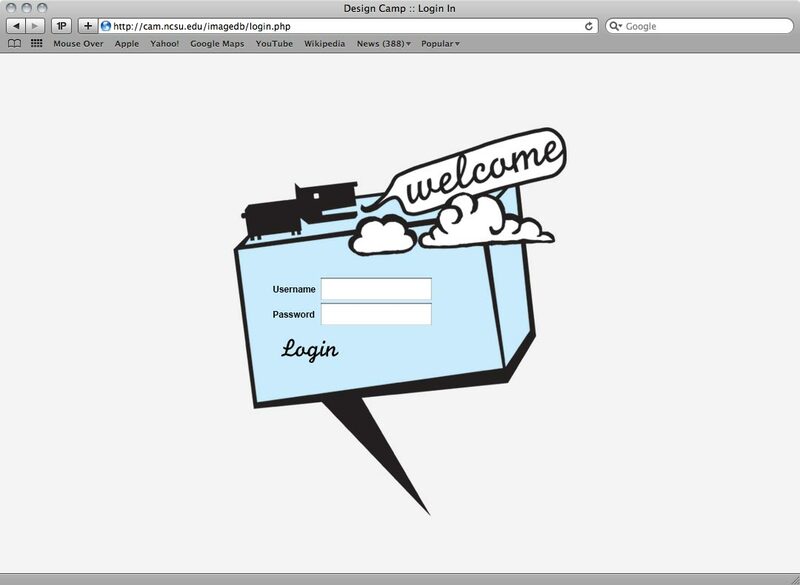 It was important that we made this simple so that campers would avoid sharing their login information with each other. 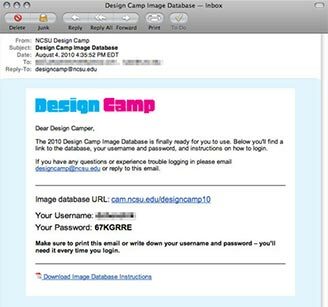 This would help limit others from downloading a camper's documentation images and claiming them as their own in college applications. 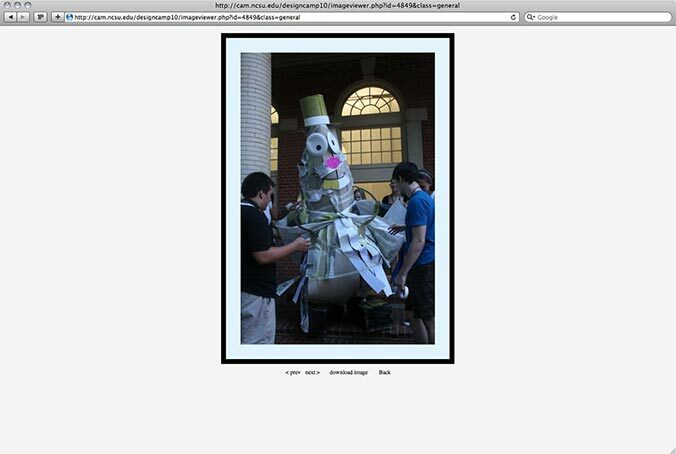 Campers could choose to share all their images or just the images that they were in.